Most of my posts here over the past year or so have been more event-related than topical, so I thought I’d share an experience that I know most of us (Amateur Radio operators) have had: Finding the source of harmful interference to your HF receiver. When I got the chance, I setup my Yaesu FT-897 (with built-in batteries) on my desk, and proceeded to turn off the entire house – UPS units, laptops, everything, and threw the main breaker. Unfortunately, the interference was still there. I put everything in the house back together and went outside to think. My neighbour came over and we got talking, and I told him what was going on. He knows I’m into Amateur Radio (he helped me put up a couple of antennas), and asked if he could do anything to help. I told him that if he turned off his power, I could eliminate his house as a possible source of the problem, so he went into is basement and threw his main breaker. Lo and behold, the noise went away. YAY! He turned the power back on, and the interference was still gone. That’s when I started swearing – it should’ve come back. He thought for a moment and asked me what it could be. I shared my suspicion that it was a battery charger, and it looked like a light came on over his head. 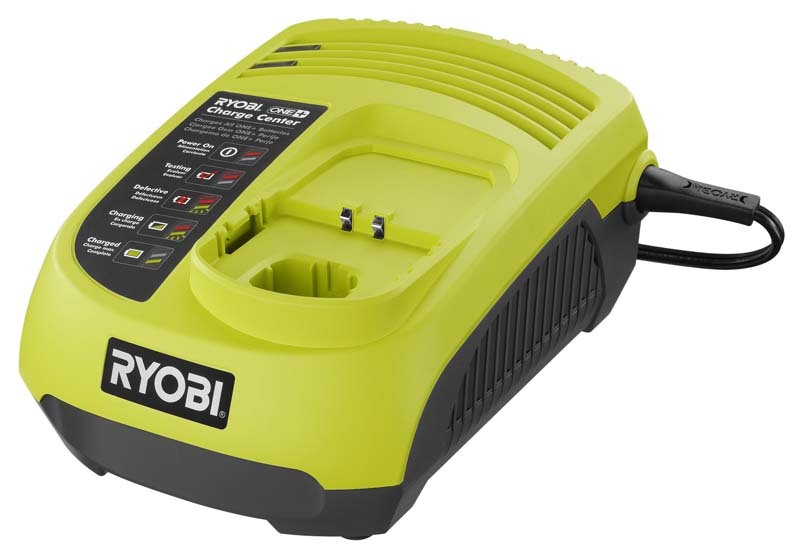 He barreled down to his basement and brought up a well used Ryobi battery charger, with a power cable covered in heat-shrink, and asked if it could be the culprit. We plugged it in, nothing. But once we put a battery on it, I was getting S8 noise, and when we removed the battery, I was back to the steady interference again. Then he took the charger and tossed it in the trash, and probably a good thing to because if it was making that much noise, it probably wasn’t charging the batteries properly. I have one of those chargers and indeed it spews interference. So bad I ended up with a different charger altogether.